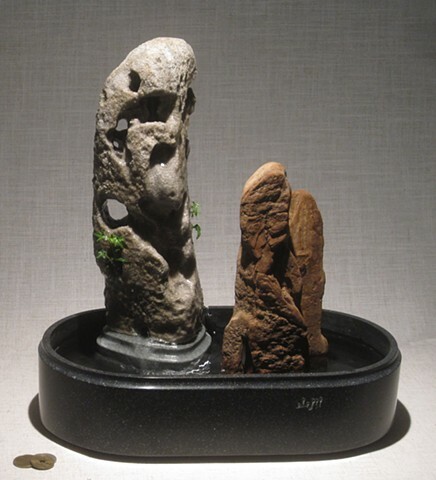 Stone and driftwood display their unique responses to the creative force of water in this western interpretation of ancient Asian stone arts. The natural process continues, as water cascades musically through the viewing stone and around the pool and driftwood, while dwarf ivy takes advantage of the stone’s crevices. The water tray was created from reclaimed Corian countertop material.